The 7th Assam Pay Commission has submitted its report to chief minister Sarbananda Sonowal today on 18th November 2016. The Committee, headed by retired IAS officer PP Verma submits the most awaited 7th Pay Commission report today. But, citing the rules and regulations imposed by the Election Commission of India due to the by elections at assembly constituency of Baithalangso (ST), along with the parliamentary seat of Lakhimpur, state Finance minister Himanta Biswa Sarma has declined to provide any information regarding the pay commission report. It may be mentioned that the Centre has already implemented the 7th Pay Commission with giving reasonable hike to all the Central government employees. 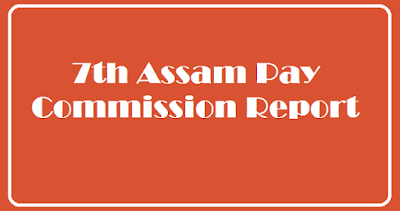 Earlier, Government of Assam has appointed the 7th Assam Pay & Productivity Pay Commission comprising of Shri. P.P. Varma, IAS (Retd.) as Chairman, Shri. Vinod Kumar Pipersenia, IAS, Chief Secretary, Assam, Shri. Tapan Chandra Sarma, IAS, Secretary to the Government of Assam, Personnel & AR&T Deptt. Shri. Kameswar Laskar, Advocate, Gauhati High Court, and Ex-Secretary to the Government of Assam, Legislative Department Prof. Dilip Kumar Barua, Head of Department, Economics and Ex-Principal, Cotton College as members and Shri. Simanta Thakuria, IAS, Secretary to the Govt. of Assam, Finance Department as Member Secretary in a resolution dated 2nd June, 2015. State Finance Minister Himanta Biswa Sarma recently said the government has in principle decided to pay the 7th Pay Commission salary to all the government employees from April 1 next year.